ViZix IoT Platform enables Digital Transformation by allowing businesses to connect and track physical assets throughout their supply chains. 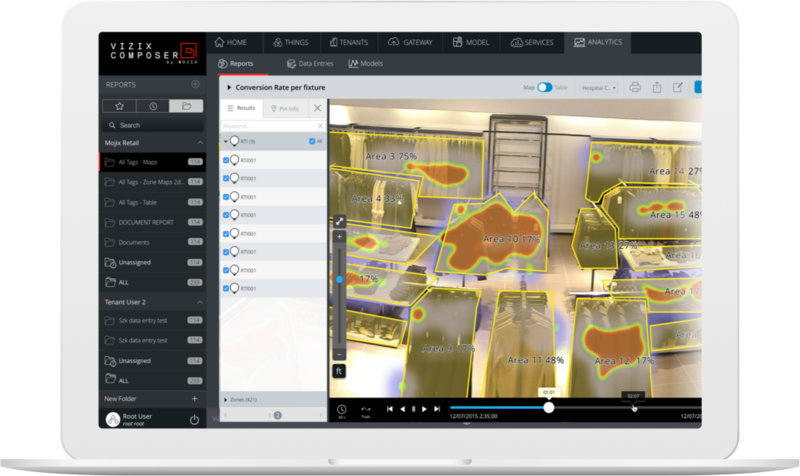 Enterprise-ready and sensor agnostic, ViZix can collect and process massive amount of data in real-time. 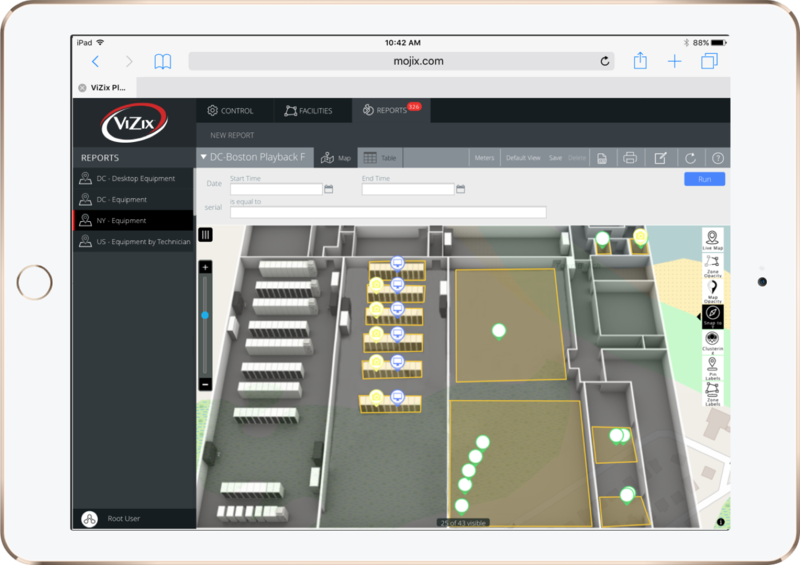 By monitoring and saving location and time-series data down to the item level, ViZix creates a Smart Supply Chain that provides end-to-end visibility from production to Point-of-Sale and generates highly valuable insights and actionable data, helping companies dramatically reduce operational costs and increase efficiency. ViZix IoT platform solutions enable businesses to consume, process, visualize and act upon time-sensitive information presented in intuitive, easy-to-understand formats. Highly flexible and configurable, ViZix enables users to customize business reports and user interfaces without additional code development, accelerating time-to-value. ViZix transforms real-time data into interactive maps, images and reports valued by business users, providing a rich user experience. ViZix IoT platform solutions can be configured to trigger a variety of responses including alerts, notifications, workflow changes, etc. based on device state changes and actuation of edge devices. ViZix supports a state of the art Complex Event Processing (CEP) rules engines. It’s designed for high volume event correlation where millions of events coming in would make it impossible to store them all to later query them using classical database architecture. ViZix is capable of triggering custom actions when complex conditions occur among event streams. Targeted to real-time, event-driven architectures, ViZix is capable of triggering custom actions when complex conditions occur among event streams. It’s designed for high-volume event correlation where millions of events coming in would make it impossible to store them all to later query them using classical database architecture. 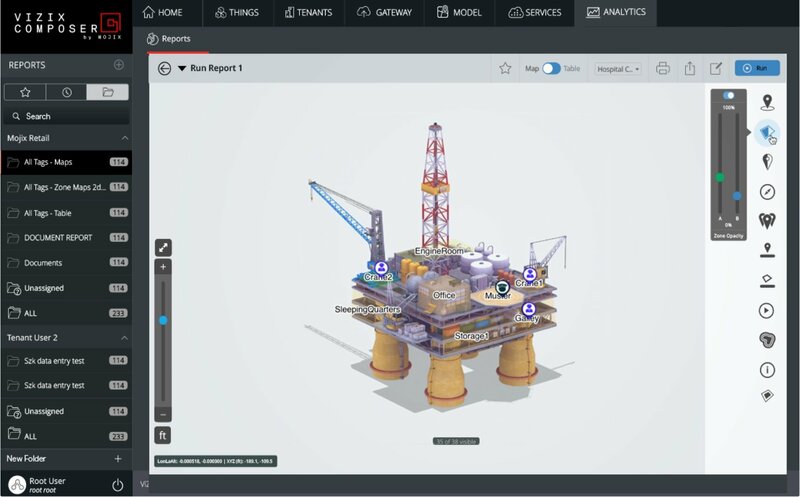 ViZix provides a rich user experience, allowing business users to create applications by specifying rules, filters, reporting and visualization preferences, reducing cost and deployment time. ViZix supports Fractal Multi-tenancy, which enables support of divided, hierarchical organizations by independent element or aggregated at any level. Configurable options can be inherited or specialized by site. This enables a single instance to support a diverse organization with variety in ThingTypes, roles, security, rules, reports, etc. MQTT, which is a widely supported, lightweight, communications mechanism that enables seamless integration with back-end software, such as Oracle, SAP and IBM configurable QoS levels. Want to know if Mojix is right for your business?